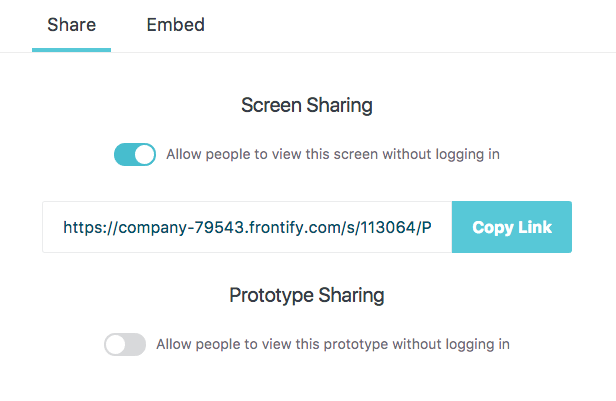 Login to your Frontify project. Click on the screen you want to share public. 3. Click the share button in the powerbar. 4. 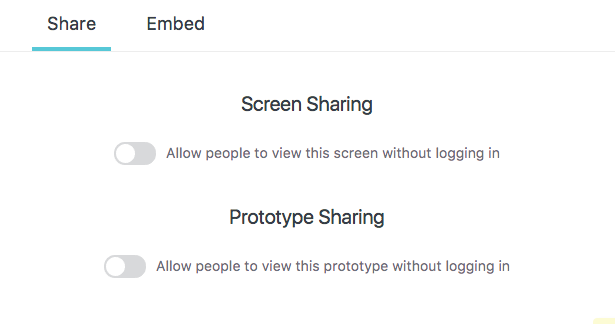 On the tab share, activate the switcher for screen sharing. 5. Now you can copy the public link.